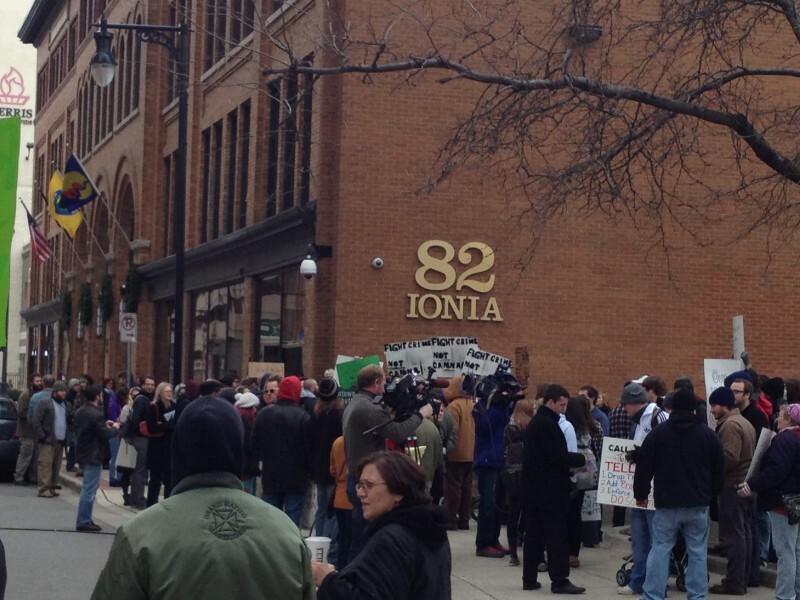 Protesters gathered in front of the Kent County Prosecutor’s office on December 6th at 12pm. The protesters oppose Kent County Prosecutor Bill Forsyth’s lawsuit against the Citry of Grand Rapids challenging the legality of implementing Proposal 2, more commonly known as the decriminalization of marijuana in the City of Grand Rapids. Just before noon, protesters began to appear on the sidewalks around 82 Ionia Ave. NW. Handmade signs dotted the gathering, and soon after, a chant of “Respect the vote!” began as protesters started to march around the building. “I am here because the people voted in favor for it,” says Joe Brown, attending the protest on behalf of Conservative Christians for Cannabis Reform and the Grand Rapids branch of the National Organization for Marijuana Reform. “This is a legal issue where the people voted for something and now something is being withheld from them,” says Brown. Proposal 2 passed with over a 58% majority vote, and the City Charter amendment was set to be implemented on December 6th. 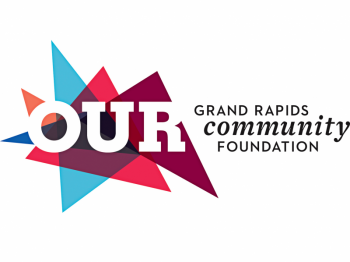 On Monday, December 3rd, the Kent County Circuit Court entered a Temporary Restraining Order (TRO), according to a press release from the City of Grand Rapids. The TRO prohibits the City of Grand Rapids from implementing the Amendment until further order from the Court. 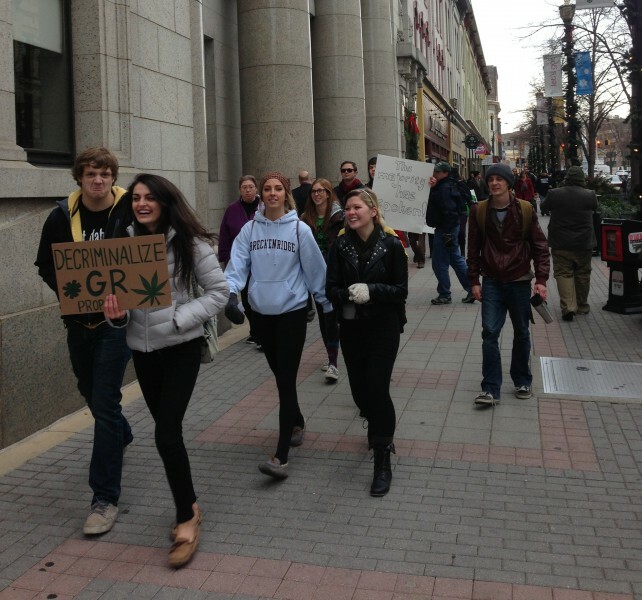 “This is a Charter Amendment that is voted by the citizens of Grand Rapids, but the legal case is going to be decided on what people usually think of as technicalities,” says Jack Hoffman, legal counsel for DecriminalizeGR. DecriminalizeGR is the ballot initiative committee that collected over 10,000 signatures to get Proposal 2 on the November 6th ballot. Michael Tuffelmire, the Director of DecriminalizeGR was at the protest and said that he was displeased with the lawsuit. "We were transparent the whole time, we followed everybody's rules and regulations," says Tuffelmire. "Really, I was just shocked." Protesters also showed their displeasure against Prosecutor Forsyth himself. "I feel like [Prosecutor Forsyth] and [Grand Rapids Police] Chief Belk are kind of buddies on this," says protester Kaitlyn Stigers. "They were the only ones that really spoke against it. So now that they didn't get their way, they're going to use their power, what they have, to try and stop it." "The Prosecutor is an elected person and he's accountable to citizens," says Jim Talen, Kent County's 16th District Commissioner. Hoffman addressed a main defect in the Prosecutor's lawsuit. "I’ve talked to the prosecutor about it, he disagrees with me. That’s fine, we’ll let the judge decide,” says Hoffman. What's appropriate at a Trump rally anyway?